Awaken The World to the Power of the Inner Doctor! Can you imagine how many billions of dollars could be saved if people knew how to heal themselves naturally without medications? From 4-year-old orphans to 85-year-old world-record holders, we can all benefit from self-care education! 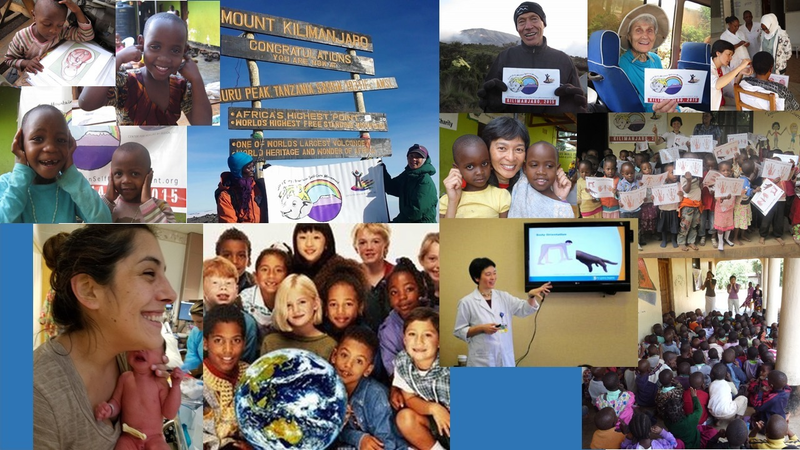 Join the Global Climb Every Mountain Self-Care Movement to empower 1 million people by 2020! If Monica, a 4-year-old orphan, could learn to heal her own tummy-ache and Anne, a 85-year-old world-record holder for the oldest woman to climb Mt. Kilimanjaro, could learn in an hour to relieve her neck pain by just rubbing her finger, imagine what you, too, can do to help yourself, if you and your loved ones, can get the self-care education that Center for Healing By Design provides. If expecting moms and dads knew exactly what to do to welcome their new-born child the way nature intends, with the help of the Inner Doctor...and if our children are taught early in life, as early as in the womb, the simple yet profound way that we can all self-heal by working in harmony with our Inner Doctor, the innate intelligence we have in our bodies, we would be living in a world where SELF-CARE is the most affordable and reliable form of HEALTH-CARE! Our global Climb Every Mountain Self-Care Movement aims to empower 1 million people by 2020 by providing self-care and self-healing education, experience, and tools. Come join us and help us help you re-claim your birth right, the knowledge to use the power of your Inner Doctor for health and for harmonious relationship with ourselves, with our loved ones, and with our world. Your donation enables us to provide self-care education in the form of group workshops and webinars to communities in Silicon Valley and beyond. When you donate $50 or more, you will receive our Bonding Touch Video Series as a THANK YOU gift! Receive the gift of love, health, and precious bonding experience with your loved ones! Thank you for what you are doing. I'm a friend of Dat's and appreciate his recommendation of your Center. Love to support your efforts!